Example sentence: "Daryl and John got together in the studio for a jam session. They were thinking up ideas for their new album." 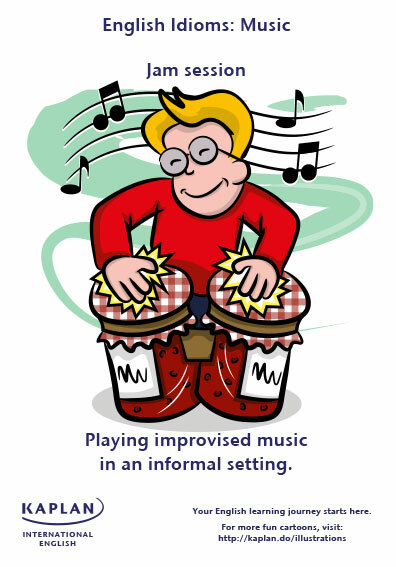 Click the link for the full music idioms illustration!